Lisa Page, an attorney who was part of Special Counsel Robert Mueller's team investigating Russian meddling in the 2016 election, has left, the special counsel's office confirmed. Page, who was an attorney with the FBI's Office of the General Counsel, returned to the FBI in mid-July, special counsel spokesman Peter Carr confirmed to CBS News' Andres Triay. The news of Page's depature was first reported by ABC News. Prior to her position with the FBI, Page worked as a trial attorney in the Organized Crime and Gang Section of the Justice Department's Criminal Division. Page has prosecuted a number cases involving eastern European organized crime. In one case, she partnered with an FBI task force in Budapest that investigated a money-laundering case against Mr. Trump's former campaign manager Paul Manafort's one-time business partner, Dmitry Firtash, a Ukrainian oligarch. age is the second person to depart the team so far. Peter Strzok, who was chief of the FBI counterespionage unit that was involved in overseeing the FBI's investigation into Hillary Clinton's use of a private email server last year, departed the team in August. It's unclear why Strzok left. The scope of Mueller's investigation, individuals familiar with the matter have told CBS News, includes Russian interference in the election, Russian hacking, any other Russian influence and possible financial wrongdoing. CBS News reported in August that Mueller is using a grand jury in the probe, which is an indication the probe is intensifying. 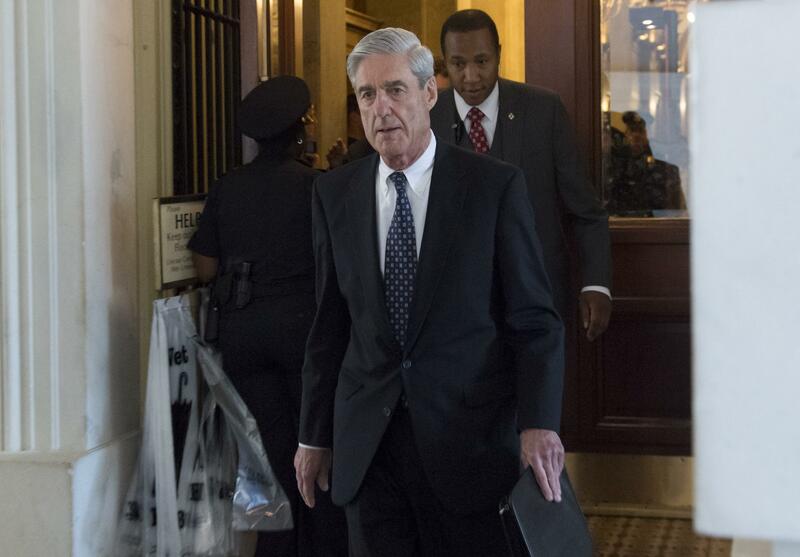 The impaneling of a grand jury means Mueller's team has the ability to seek indictments and subpoena records, although the special counsel already had broad investigative authority when Deputy Attorney General Rod Rosenstein announced he was naming Mueller special counsel. Shortly before the appointment, Mr. Trump abruptly fired then-FBI Director James Comey. And Rosenstein was given oversight of the investigation after Attorney General Jeff Sessions recused himself from the Russia investigation. Mueller's team recently obtained records from Facebook regarding $100,000 in ad buys Russians made during and immediately after the 2016 presidential election. Between June 2015 and May of this year, about 3,000 ads connected with 470 "inauthentic accounts" were posted on Facebook, according to the social media giant.